The story began when a group of divers came together before Christmas in 2008 with a desire to do something helpful for the children in the Tallinn Orphanage. Because divers by nature always look for adventure, the traditional presents and gift bags seemed too boring and also useless in the long run. That's why it was decided to give every child in the orphanage an intro-dive in the pool. Starting from that Estonian divers have made every year similar present to one Estonian orphanage. 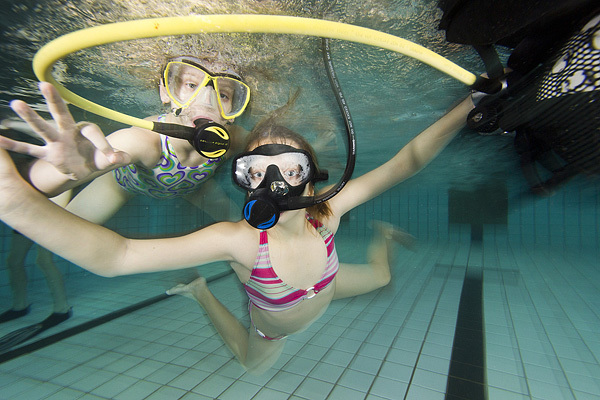 This year the 11 children from Pärnu Lasteküla found out what it was like to dive. The instructors from ESK (Eesti Sukeldujate Klubi) also got their present - the pure joy in the children's eyes and their unwillingness to leave the swimming pool was the best reward.